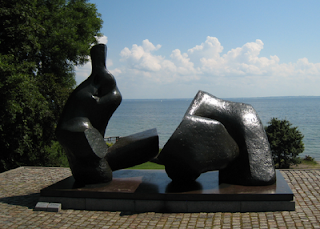 Apologies for the relative silence here, I went to Denmark where I visited this beautiful, coastal gallery (among other things, which I'll come back to). 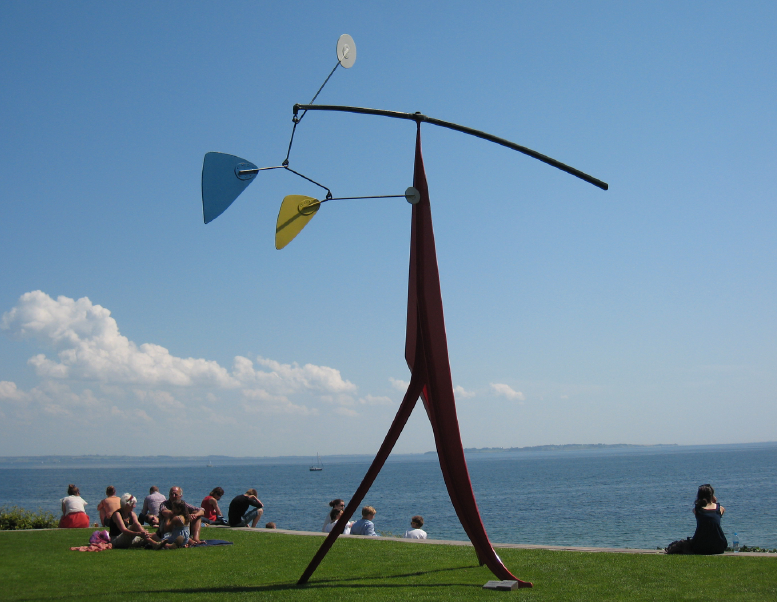 A 40-minute train ride from Copenhagen, Louisiana's collection includes work by Frank Auerbach, Per Kirkeby and Peter Doig, with a special emphasis on Alberto Giacometti. 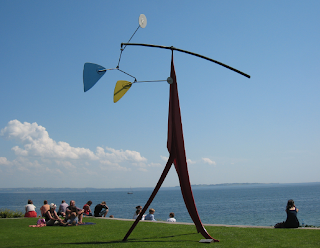 Outdoors sculpture is from Alexander Calder (pictured above), Jean Arp, Max Ernst and Henry Moore (below), and there are temporary exhibitions, too: architecture show Living and David Hockney's iPad drawings run until autumn.